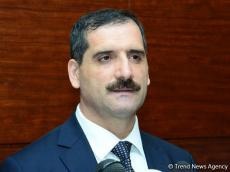 Azerbaijan has greatly supported Turkey in holding negotiations in a multilateral format, Turkish ambassador to Azerbaijan Erkan Ozoral said in an interview with Trend. The ambassador stressed that the meetings being held in the Turkey-Azerbaijan-Georgia, Turkey-Azerbaijan-Iran, Turkey-Azerbaijan-Pakistan trilateral formats and in the Turkey-Azerbaijan-Georgia-Iran quadrilateral format, serve the well-being, development and security of not only these countries but also the entire region. "Turkey initiated meetings in a multilateral format and Azerbaijan greatly supported this proposal," the ambassador said. “This format can be developed and expanded in the future,” Ozoral added. "The possibility of holding meetings in a multilateral format with other countries with which we have common priorities and approach is being considered." “These meetings must yield results, must be effective and contribute to the development of cooperation,” he said. "We are ready to work together with all regional countries on this issue."